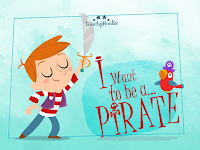 My Reading Specialist.com: TouchyBooks: The Children's App You MUST Own! In the world of Apps for your electronics there are too many to choose from, but not tons that are great for kids. Sure Angry Birds is a fun game, but educational and fun...I think not! That's why when I was asked by TouchyBooks to review their app store and interactive books for kids I was ecstatic. Then once I tried them with the kids I was blown away! I decided to try out the free books first and downloaded those on to our iPad. The first thing I loved about them was the amazing illustrations! Each book has completely different styles of illustrations, but overall I found the graphics much more amazing than many children's books we own (and that is a ton given I am a Reading Specialist)! The Moon Secrets book reminds me of a happier version of The Nightmare Before Christmas in regards to graphics, while The Candy Factory illustrations seem to take inspiration from the children's book Abuela. Each book can be played two different ways: read to me (with audio), or read with me (no audio). I love that the text seems to appear on the page in a font that is similar to the illustrations. The funky font in The Candy Factory appeared tilted and silly, while the Sleeping Beauty font was elegant and floated on the page. Each story has different touch sensitive areas on the illustrations, so your kids can make mice run, characters fly, or a prince kiss a princess (to name a few). I especially liked that the kids could make the cotton candy cloud float around the page with a touch of a finger (in The Candy Factory). In the book The Adventures of Alt you can make Alt (a funny little alien being) go on adventures! He flies in a balloon and rescues friends. I could go on and on about what an amazing app this is, but you truly must try it out for yourself! 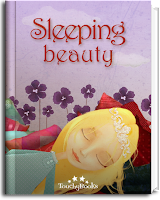 Sleeping Beauty: an abbreviated version of the classic tale with dramatic illustrations and a 'surprise' feature where you make the prince kiss Sleeping Beauty to wake her up! 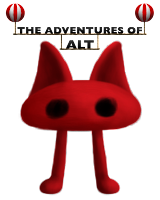 The Adventures of Alt: take Alt on an adventure to rescue new friends while listening to a 'robotic' narrator (honestly could have done without that part, but overall loved Alt and the interactive features)! The Candy Factory: a MUST have! You can make the kids float on a cloud of cotton candy around the screen....enough said! Moon Secrets: a cute short story that works for young ones with short attention spans. Adorable large graphics that move with the story. This one is FREE to try! I Want To Be A Pirate: LoLo's favorite one (of course). He told me today that he wants to be a pirate when he grows up...oh boy! I liked the colorful characters and simple backgrounds. LoLo really liked the canons that fire when you turn the page! So if you are going to download any app for your kids this summer...this is the one! Try select TouchyBooks today for free and I know you will be hooked! Also, look for our upcoming giveaway in which you could win the TouchyBook of your choice for FREE! Disclosure: These downloads were given to me by TouchyBooks to facilitate this review. All opinions and words are my own. That sounds very cool! Thanks so much for the info. I have a droid and will have to wait, but I definately want the app once it's available. I will do an update post when they make it available for Droids. So stay tuned!